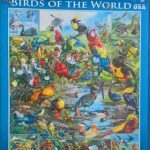 Puzzles are fun and they are also an excellent way to learn visual information. 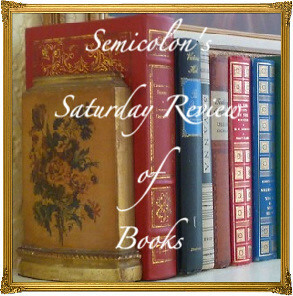 Searching for just the right piece, whether by color, pattern, or shape, makes one actually see the picture. The process of holding that information in one’s mind while searching through dozens or hundreds of similar puzzle pieces develops concentration. Puzzling itself is a good way to refresh a tired mind and to add some novelty to the learning week. 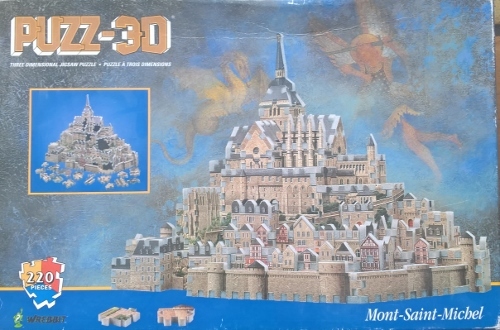 It’s suitable for all ages, from toddlers struggling to work a wooden piece into its spot to teens whizzing through complex, double-sided puzzles or intricate maps. Finally, puzzling together provides a peaceful way of connecting with others . As an aside, in our frantic, internet-driven world, puzzling helps us give our kids (and ourselves) the gifts of slowing down and being attentive, both of which are vital for learning. 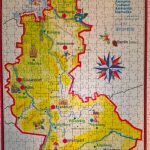 We have several map puzzles. Any map up to 500 pieces can be done relatively quickly and it’s one of the best ways to really look at a map and see what is where, besides actually drawing it. These puzzles were done in just a few hours and provided excellent learning of various aspects of geography, some historical. The better one knows the geography, the faster one can go. 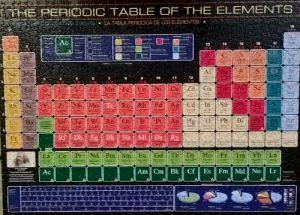 One birthday I received this amazing periodic table. Although it has 1000 pieces, it can be done in a day by one person, as we found out when Miss 18 used it to study the periodic table. 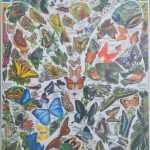 Of course, nature puzzles can be full of intricate details, and some of them are labelled with names for a different level of learning. They are an excellent way to slow down enough to look carefully at what God has made. In our busy world many of us are unable, mentally, to stop and watch real life nature for any length of time, and puzzling helps develop that skill. Very rarely (because they are so difficult and take up so much time) do we do 3D puzzles, but they can be an amazing learning experience. After doing this one a few times, we all know a lot more about older towns, and I am keen to visit this island. And, yes, one can study art by puzzling, too. 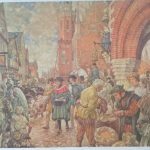 We really enjoyed piecing together this painting by Breughel (on the left) a few weeks ago, but the other one is too large to do often. As a bonus, these two also teach us about history. Of course, the many other kinds of puzzles are fun and have many benefits, but these are the kinds we use to reinforce learning. We don’t puzzle as often as I’d like which is probably a good thing. After all, puzzling can take enormous amounts of time. The intermittent and unpredictable joys of finding ‘just one more piece’ make it so easy to forget important things like mealtimes, bedtimes, and important duties. 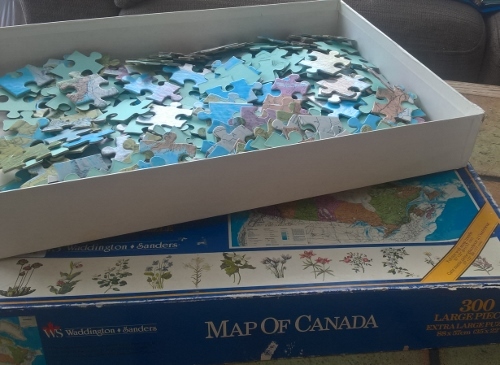 On the other hand, as an occasional winter homeschooling treat it is hard to beat puzzling, both for learning and for refreshment. 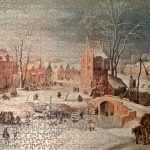 If puzzling is not yet part of your family’s homeschool, get a relatively easy puzzle related to something you are learning and try it when everyone needs a change of pace. You will be amazed by what you learn about the subject, each other, and yourself. Happy puzzling! You can browse our other homeschooling tips here. 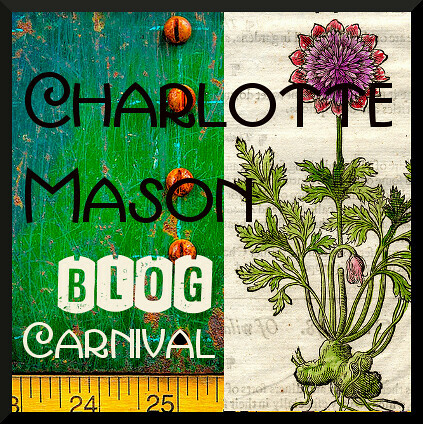 I got this idea a few years ago from the “Prone to Wander” blog. 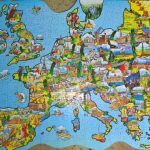 Geo-puzzles makes fantastic world, continent, and country map puzzles. They used to be standard afternoon fare around here. Thanks for reminding me to get them out more often. And thanks for mentioning geo-puzzles. 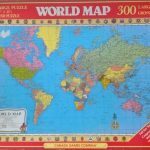 I’ve added The Global Puzzle to my Amazon wish list–it’s exactly what we have been looking for, with its country-shaped pieces. I’m excited already!